The sale of the Sonics to Clay Bennett came 10 years ago today. I tracked down the article I wrote about the event 10 years ago to see if it's prescient, irrelevant, or just plain dumb. Unfortunately, it is just as sad to read today as it was to write it then, and I don't think I'd change a word of it. 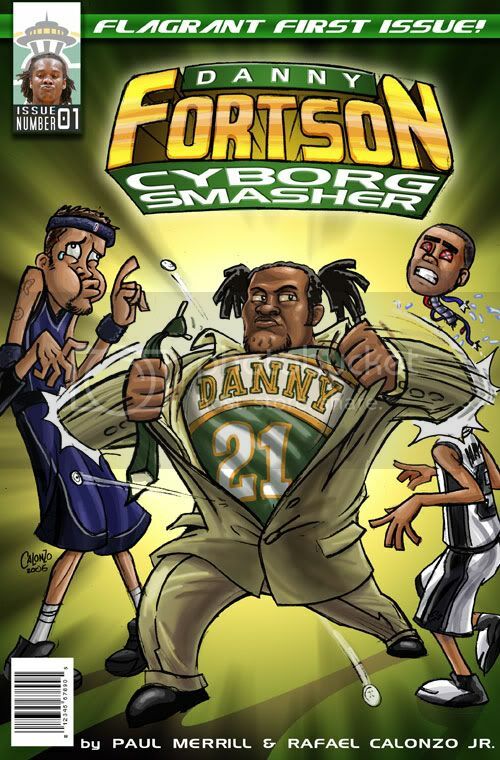 It's funny, a couple of days ago I was thinking of writing a piece about the greatest hair in Sonics history - X-Man, Sikma, Freddie Brown, and now Danny Fortson and Mickael Gelabale. I was hoping Chunky could put together some artwork to make it into a nice, funny piece about our favorite team. Now? I'm barely motivated to write two words. Look, Howard Schultz doesn't owe anybody anything. He made a business deal to get himself out of a financially precarious position, and as the front man for a conglomerate of other businesspeople, he most likely has been feeling as much heat from them to sell as he has from all of us to not. Still, it seems a bit hypocritical to me that Schultz would on the one hand trump up the emotional relationship between the city and the team when it's convenient for his argument (i.e., Seattle must build me a new stadium because of all those future Sonic fans that love their basketball), and then turn around and completely abandon that same relationship when it's convenient for his pocketbook. Mr. Schultz, I have never met you, and I most likely never will. Hence, I am in no position to judge your character. Further, if I have learned anything in life it's that passing judgement the motivations of others is a foolhardy and worthless endeavor. Regardless, Howard, I think I speak for the majority of the people who read this site when I say that I am disappointed in you. 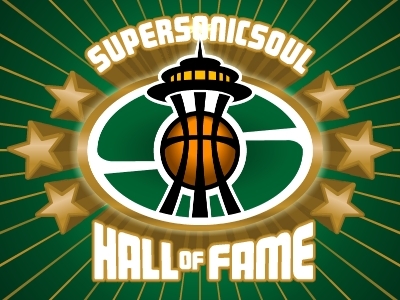 You have passed yourself off as a man of the city, the man who saved the Sonics from leaving and preserved the legacy of Blackburn, McDaniel, Shawn, DJ, and Lenny, and a man who was engaged in a Quixotian struggle with the city and state to keep the Sonics in their home of 40 years. And yet, you sold that same team to a man who even a 10-year-old can tell is obviously intent on moving it to Oklahoma, guaranteeing that the Sonics will become the Cleveland Browns or Montreal Expos of the NBA. It’s funny. Howard Schultz, easily the worst owner in Sonics history in regard to wins and losses, will also go down as the most remembered owner in Sonics history. I wonder, Howard, was that part of your five-year plan? Thing that is a sure lock on my opinion that he has no soul is that he hasn't apologized at all. It takes a big person to admit he/she's wrong and big he isn't.